Designed not as individual items, but as a system so everything “just works”. VersaKeys pilot items together without relying on screws - "no more wobbly sprockets"
StandardizedStandardised Motion Components all compatible. - "Combine, Any Sprocket, Any Wheel, Any Shaft"
Products can be configured in a variety of ways to "build whatever you can imagine". The VersaFrame is the ultimate in large scale robotics construction systems. Build an amazing drivetrain and customize the perfect upper frame for this year’s game. There are many teams who have the drive for excellence when competing in FIRST® Robotics Competition, but just need a little something extra to achieve superior performance on the field. Everything about the VEXpro line was created to help them jump to the next level. Inspiration on demand. Application Engineering Guides can give you design inspiration and some fundamental designs for your team to build on. COTS gearboxes provide advanced functionality that is easy to implement, helping take your team’s performance to the next level. The VersaFrame system lets you build the same custom upper-structures as elite level teams without any custom manufacturing resources. The VersaPlanetary gearbox makes it easy to get many popular FIRST® Robotics Competition motors to the speed & torque you need and integrate them seamlessly into your designs. We know veteran teams are the toughest customers on the planet; they know what they want and how they want it. To earn their trust, we focused on providing high value items designed specifically for the competitive FIRST® Robotics Competition marketplace. VEXpro motion components (bearings, shafts, spacers, collars, hubs, sprockets, gears, wheels) may seem as though they were made for off-the-shelf designs, but they work just as well as integral components of completely custom mechanisms. The VersaFrame system can be a 1:1 replacement for many other tube stock options and provides some features to make your life easier. The “construction system” nature of the VEXpro items brings prototypes quickly to life - an essential element of the design process that can sometimes be overlooked. With the VersaPlanetary Gearbox’s standardized mounting setup, you can quickly iterate through different motors, gear reductions, or output shafts with ease. In 1996 two long-time FIRST® Robotics Competition mentors (Tony Norman & Bob Mimlitch) founded Innovation First, Inc. (IFI) in Greenville, TX. Building originally out of a garage, Tony and Bob's company was founded on the belief that innovation is necessary very early in the design process to produce simple and elegant product designs; a principle learned from their time mentoring FIRST® Robotics Competition students. Starting with the Victor 883 Motor Controller, IFI would go on to be a leader in educational & competitive robotics products as well as high-tech consumer toys. Now headquartered on a 13 acre complex that houses an advanced metal fabrication plant, distribution center and corporate offices, IFI has over 200 employees worldwide including over 150 in Greenville, TX. As IFI grew, so grew their support of the program which inspired its founding principles. Innovation First International would go on to support FIRST® Robotics Competition teams, events, and the program itself as a crown supplier. Most tellingly, IFI holds competition robotics experience in the highest regard, valuing employees who have spent time participating on, mentoring, or leading teams. As such the company now has employees in all aspects of their business who come from, and are still involved in the robotics community. At IFI there are literally hundreds of years of robotics experience under one roof. 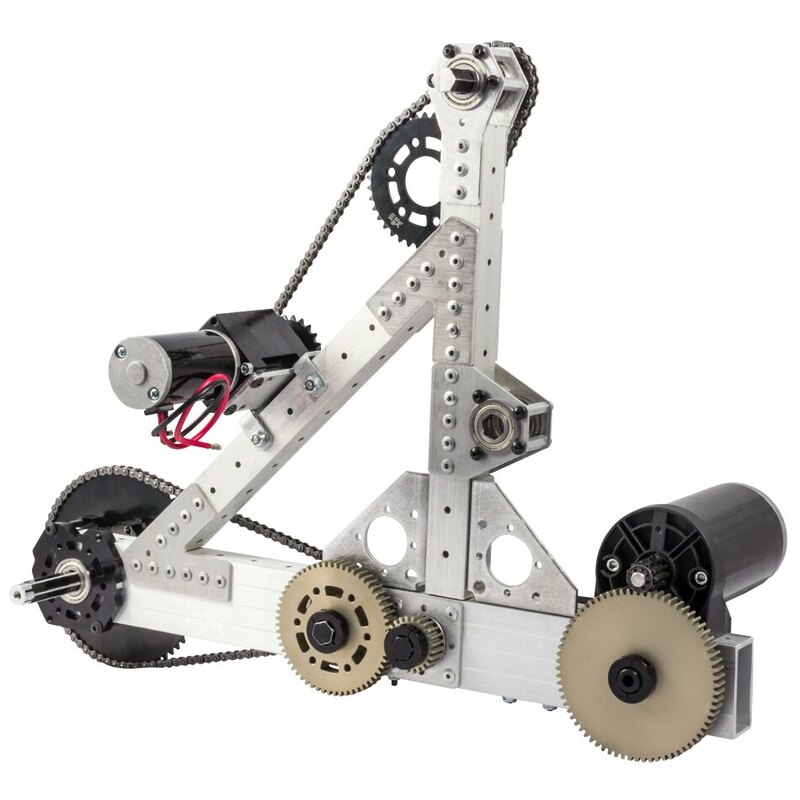 In December 2012 (for the 2013 FIRST® Robotics Competition season), VEX Robotics (a subsidiary of Innovation First International) launched their "VEXpro" line, starting with over 120 distinct products. The VEXpro line was an opportunity for Tony & Bob to leverage IFI's global resources to develop new products specifically aimed at the FIRST® Robotics Competition marketplace. The VEXpro engineering team simply designed the products they would want to use. This focus on ensuring superior performance, and emphasis on high-value lead to the VEXpro mantra of: "Does More, Costs Less." Since these items were designed together from the ground-up, it allowed the VEXpro engineers to utilize their experience designing VEX EDR to make VEXpro a "system of products." All the components are designed to "just work" together ensuring a frustration free build experience. For the 2014 season, the VEXpro line was enhanced further with 150 additional products, and product improvements. In particular, IFI focused on partnerships with other organizations also working to support FIRST® and FRC teams. Now in 2018, the VEXpro line has continued to expand, with new products, new partnerships, and more improvements based on customer feedback.